Often as a software developer working in an innovation agency, I have to be able to rapidly prototype an app idea or concept in order to test the idea with our design team and target customers. It helps when the app is connected with a backend serving real data as this allows us to figure out how the concept will actually work in the wild. The dream is to have a backend service with an API and NoSQL style data structure that allows us to change the structure quickly without having to worry about configuring a complex relational database. This is where Google’s Firebase comes to the rescue. Awesome!! In our case, we wanted to quickly develop an IoT application, as part of the application we’d use an iOS app to pick a colour for our IoT connected device to sort out M&Ms. 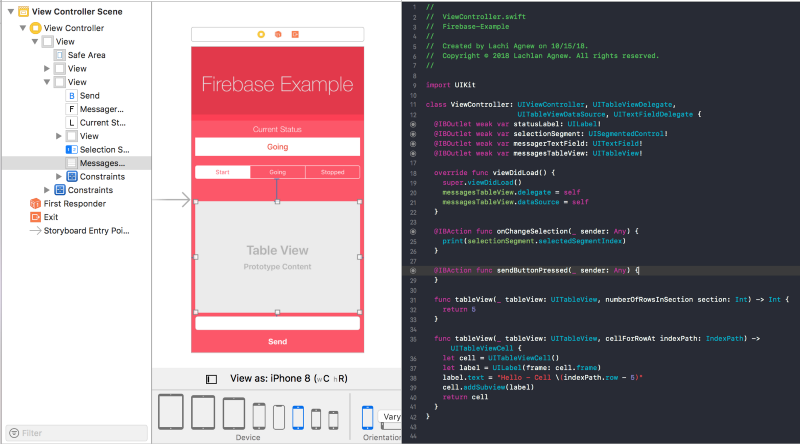 The current colour chosen would be communicated to the device using Firebase’s Firestore database, that scenario worked really well that I decided to do a write up about how you’d create and connect an iOS app to Firebase. 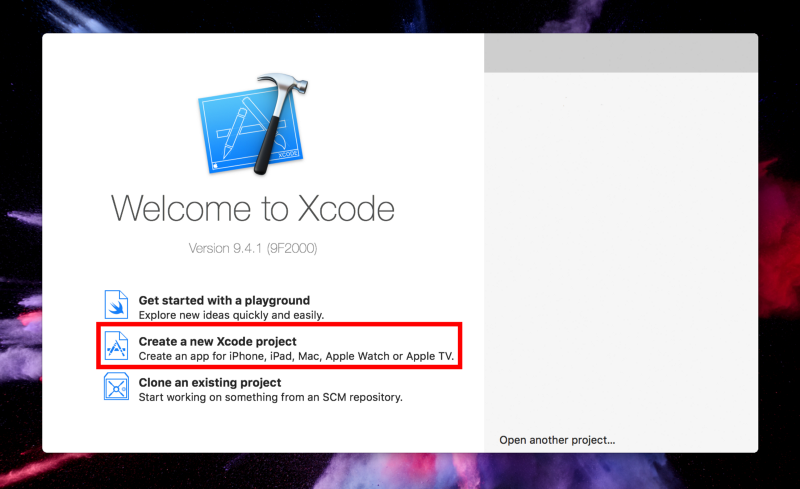 Once you have Xcode installed you can now begin creating a new project. 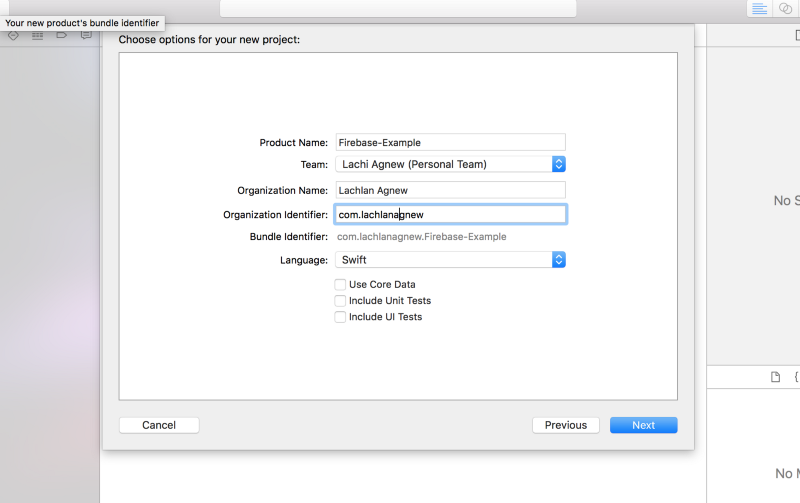 Then select Single Page Application and give the project a name. 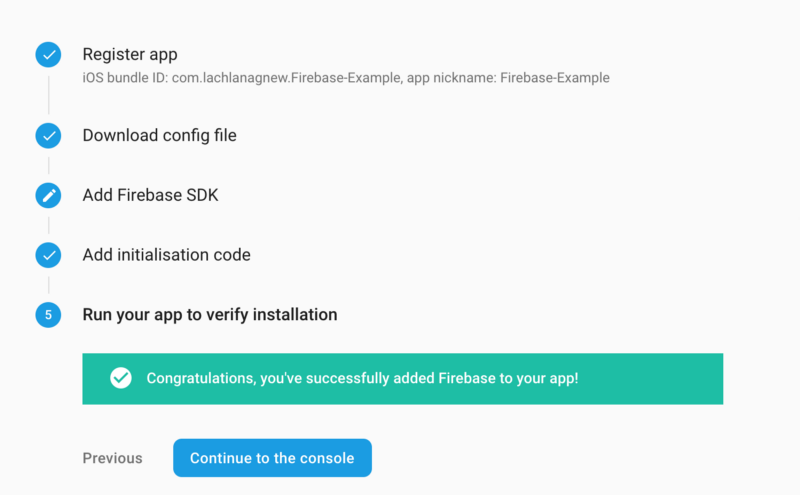 This will create a blank application that we will now install firebase into. This will create a new Podfile, inside we will declare our project dependencies. This is all that is needed to set up a basic Xcode project next we will set up a project in Firebase. To create a new Firebase Project. This will then prompt you to create a project name, accept terms and conditions, and to select the cloud zone. 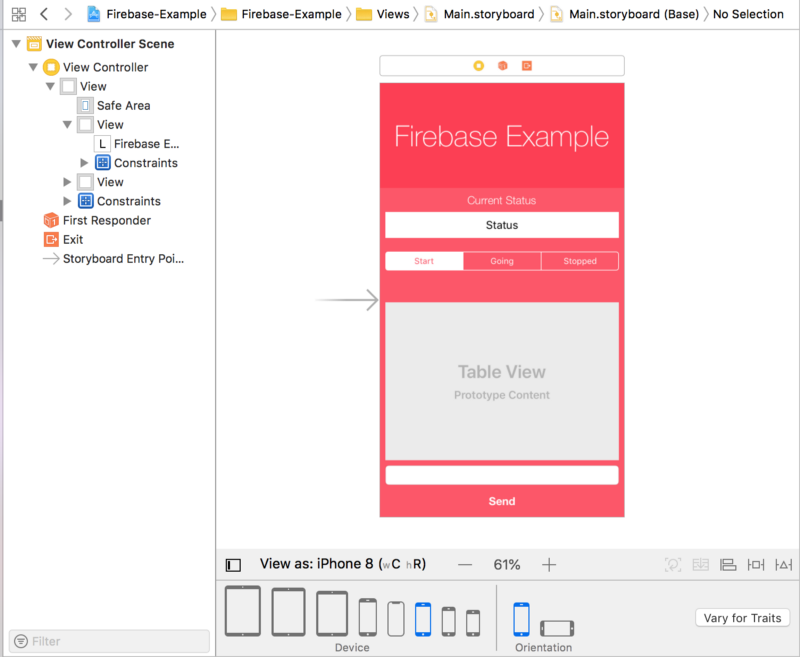 Next, we get started with setting up an iOS app in firebase. 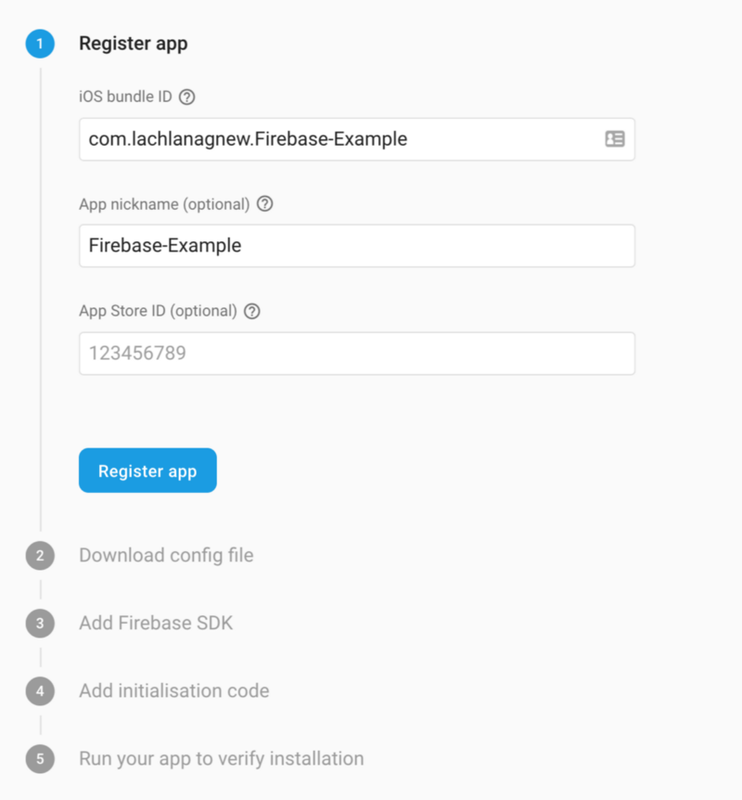 Paste the bundle id into the Firebase setup page. 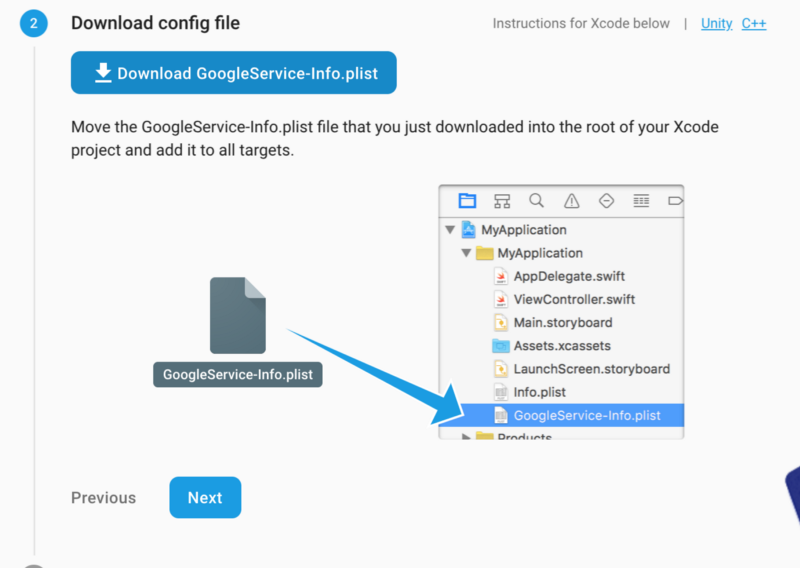 This will then prompt you to download a .plist file which should be moved to the root of your Xcode project. 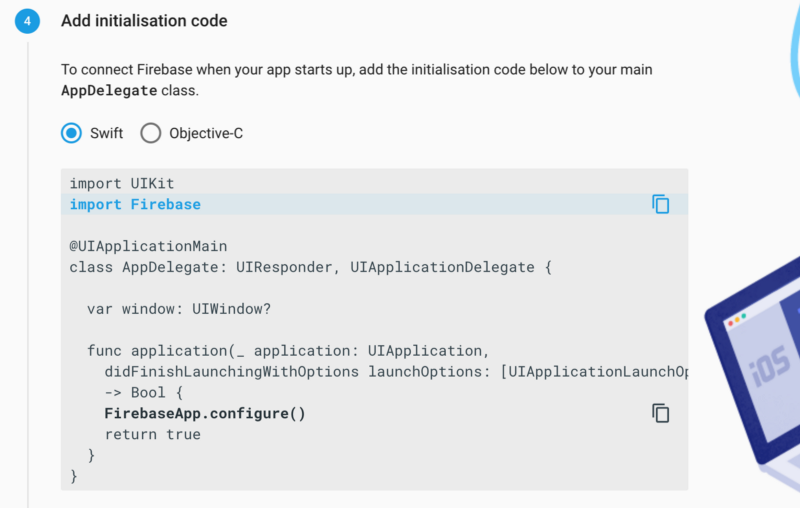 Finally, you will be prompted to add a few lines of code in your application delegate. 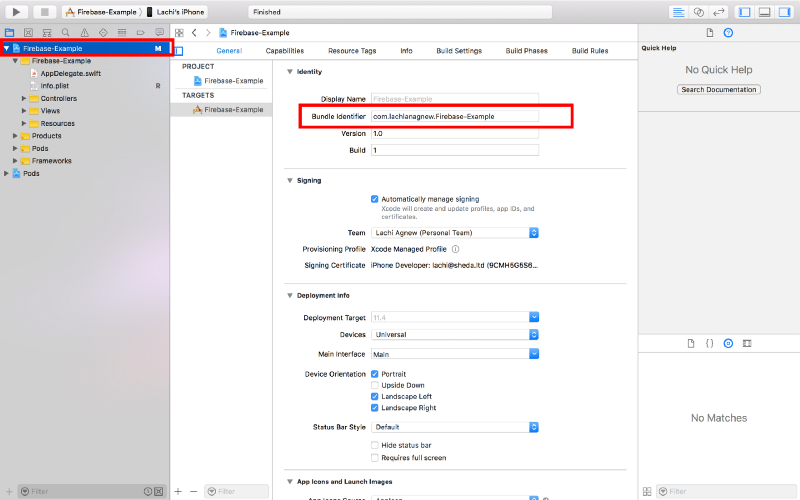 Once you’ve done that, run the app in XCode and you should have it all set up. The best way to think about Firestore is like a big editable JSON file in the cloud. It is a NoSQL database that is server-less so its perfect for rapid prototyping because once you are connected to it there is no more set up needed. 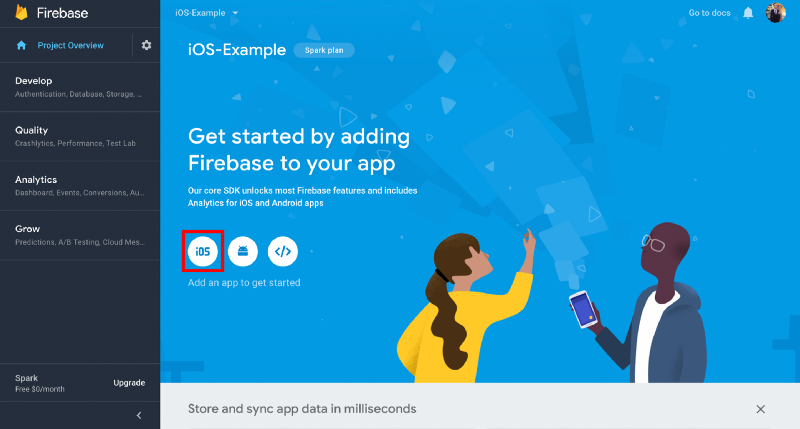 During creation make sure you select test-mode (you’ll want to make sure you change the access rules if you plan on making anything public or storing anything private see the Firebase Database security docs for more info. And that's it. 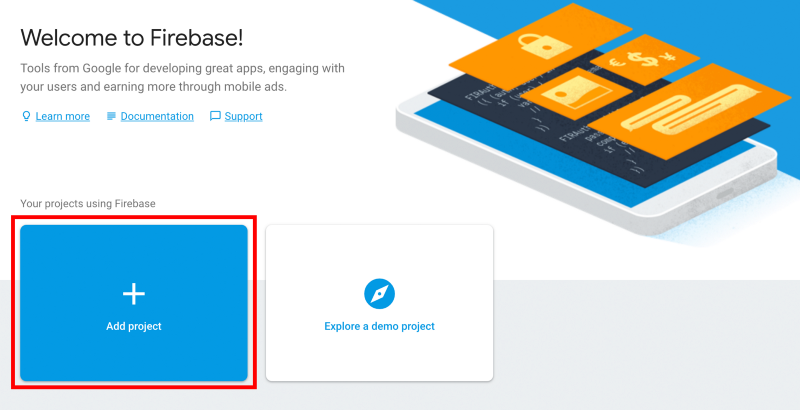 It’s really that easy to create a server-less database on the firebase. It’s a contrived example with a segment control (A horizontal control made of multiple segments. Each segment has its own function) and a Table View to display some data. I’ll walk you through how I set up all of the elements in the view controller. 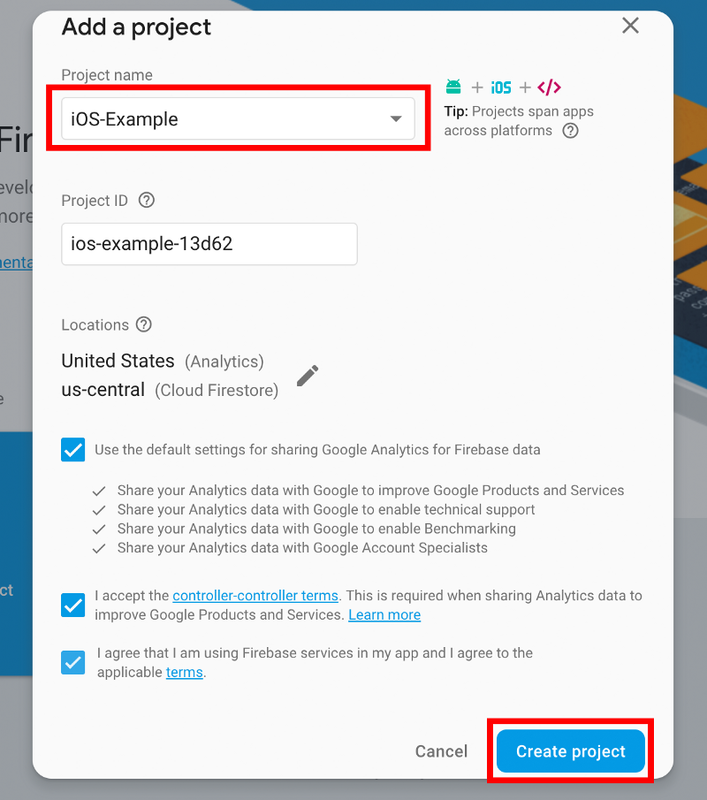 To get started with Firebase we must first import Firebase at the top of the file. Then create a database reference. We also have hooks in case the transaction fails, we print why it failed and deal with the error. Next, we can set up a listener to subscribe to and listen for when there is an update to data related to “device1”. As you can see from the gif, we are getting real-time updates of the current status. I know it just looks like the status display is just linked to the segment selector, but what’s actually happening is data is being sent from the app to our Firebase backend so when the status changes the label is updated in real time. Next up we will go through how to configure the app for real-time updates of ordered data. In this case, we’ll be sending messages and displaying them in chronological order with the latest first. For this, we will use a basic UITableView, a UITextField, and a UIButton and create a very simple real-time messaging system. Loop through the collection loop and restructure the messages to ensure the newest is at the top of the screen. Create a hook function to handle when the send button is pressed. Create a Document with current timestamp in epoch time. Create cell with text in it. Phew, that was a lot. Now, when we run this e should be able to see messages in real-time via the table view! However, for getting started and creating proof of concepts with Firebase leveraging this example might be the way to go.